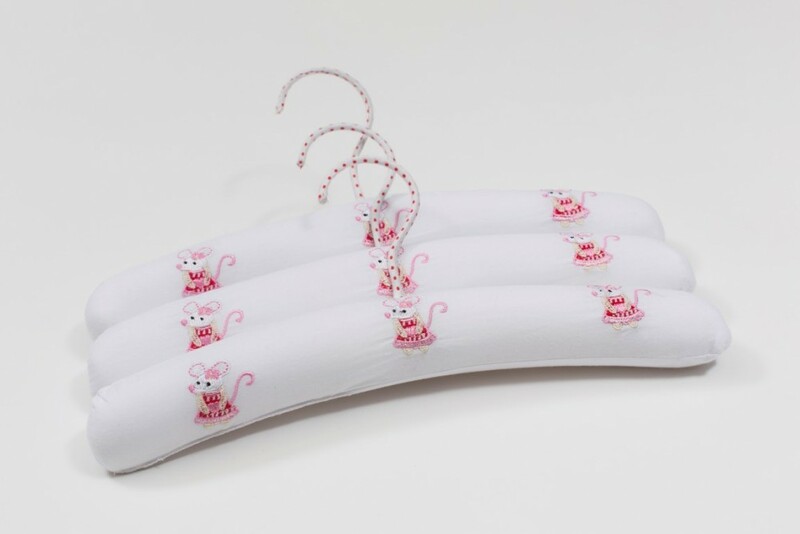 This lovely set of 3 embroidered Baby Coathangers with a little pink mouse design is a must in any little girls wardrobe. 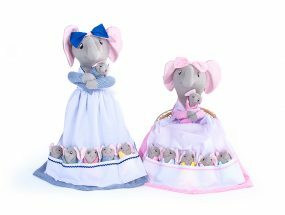 They make a lovely gift for a newborn baby or a little girl who has lots of dresses to hang in her wardrobe. 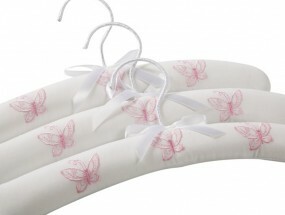 The gorgeous Pink Mouse Baby Coathangers are made from white cotton and then embroidered with the pink mouse design. The design appears on the front of the hanger and the back is plain. The metal hanger is covered in a pink and white spotty ribbon. 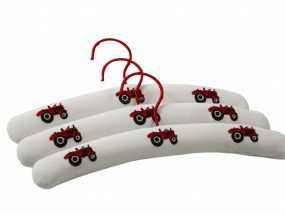 They come in a set of 3 and each hanger measure approximately 30cm wide so suitable to hang clothes from birth up to about 12 years.